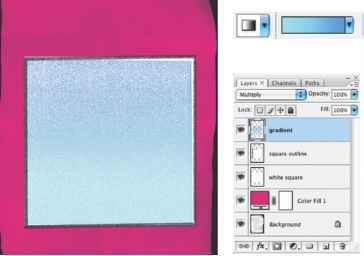 1 In the Brushes palette, select Dual Brush on the left side of the palette. Be sure to click the name, rather than the check box, to select the item. 3 Select a tip for the dual brush from the list below the Mode pop-up menu. Spacing Controls the distance between the dual tip brush marks in a stroke. To change the spacing, type a number, or use the slider to enter a value that is a percentage of the tip diameter. Scatter Specifies how dual tip brush marks are distributed in a stroke. When Both Axis is selected, dual tip brush marks are distributed in a radial direction. When Both Axis is deselected, dual tip brush marks are distributed perpendicular to the stroke path. To specify the maximum percentage of scattering, type a number or use the slider to enter a value. Count Specifies the number of dual tip brush marks applied at each spacing interval. Type a number, or use the slider to enter a value.